Carbon frames are typically lighter and can have a longer lifespan. Editor’s Note: This article is courtesy of the team at Art’s Cyclery. The original post can be found here. Should you be wary when buying a carbon frame? Do they last as long and are they as strong as aluminum frames? These are questions we hear all the time. The short answer is that both materials have their advantages and drawbacks. When it comes to longevity, it’s generally accepted that aluminum frames have a five-year fatigue life, while the fatigue life of a carbon frame is unlimited. In reality, things aren’t quite as simple. We’ve seen aluminum frames still in use after decades of riding, and carbon frames that have to be repaired after a year. The downfall of carbon fiber is an impact force highly concentrated on a small area. Modern carbon frames can essentially be ridden forever if they are not involved in a crash. Even then, current carbon fiber is very strong, and a large impact force would have to be sustained, enough to badly dent an aluminum frame. Luckily, damage to carbon frames can usually be repaired, whereas re-welding or patching a cracked aluminum frame is not safe. UV damage is essentially non-existent to reputable-brand’s carbon frames. 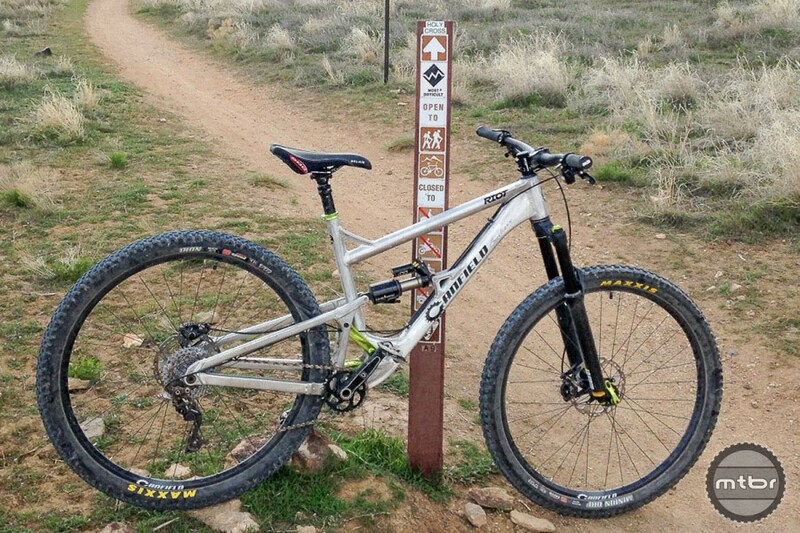 The primary difference between carbon and aluminum comes down to weight and ride quality. Carbon frames are usually a bit lighter than aluminum — up to a pound for mountain frames and up to a half-pound on road frames. Ride quality is more noticeable on road frames than mountain frames, with vibrations being damped by carbon more so than aluminum. Torsional stiffness is often greater on carbon frames than aluminum frames, although carbon frames that are as stiff or stiffer than aluminum frames have less of a weight advantage. Finally, cost will always be a big consideration. Aluminum frames are almost always less expensive. It’s generally accepted that aluminum frames have a five-year fatigue life, but sometimes they last much longer. If you choose to go carbon, here are some suggestions and things to look for. Besides the aforementioned impact force, areas where carbon frames have been know to fail are at bonded junctions and glued inserts. Junctions are where two tubes join, such as the seat tube and head tube, although modified monocoque construction has made junction failure extremely rare on modern carbon frames. Glued inserts include headset races, bottom bracket threads or sleeves, and rear drop-outs should also be watched more carefully. But again, modern construction and materials make failure at these points uncommon. On carbon frames you need to pay attention to tube junctions, the bottom bracket area, the top and bottom surfaces of the head tube, and the chain stays and seat stays. As with any bike, regular cleaning helps keep your drivetrain and suspension pivots in good shape and gives you the time to inspect your frame for cracks and damage. Pay attention to tube junctions, the bottom bracket area, the top and bottom surfaces of the head tube, and the chain stays and seat stays at the rear dropouts, and the area around the seat post clamp. Rocks are often kicked up into the down tube, so inspect there for cracks and chips in the bike’s finish. We suggest applying frame protection on this vulnerable area if there isn’t already. Be absolutely sure to use a torque wrench and adhere to specifications when installing components. Check out a variety of carbon and aluminum mountain bikes at www.artscyclery.com. It’s generally accepted that aluminum frames have a five-year fatigue life. Keeping your bike clean improves the chances that you’ll spot an issue with your frame. Only AL for real men! I don’t have carbon frame, just forks (forget about rigid Alu fork), handlebars (why not), seatposts (while at it get 27.2mm) and stem (arguably this money could be better spent elsewhere). Still, all steel single speed is the one that rides so smooth (not fancy but nicely profiled cromo fork helps). Also, I have no idea who where they’ve got this 5 year fatigue-life – maybe when running non-stop vibration test in the lab (that no rider could survive him/her-self). BTW, another thing to consider when choosing bike material is the “eco-factor”. Not only carbon fiber production is very dirty but also disposal of broken (or just old) frame is troublesome. There’s no such thing as ‘better’. Each material and construction has different advantages and disadvantages. “Ride Quality” is a myth, a placebo, a marketing strategy. Perform a blind, scientific test and nobody will be able to tell what frame material they’re riding. Buy what you like and can afford and ride the hell out of it. While carbon frames have a theoretically infinite life span due to their lack of fatigue related failure (unlike metals) I have ridden aluminum frames for a long time and worked at bike shops and don’t remember seeing many (if any) metal frames fail due to fatigue. Impact, yes. Improper manufacture, yes, fatigue, no. Also, let’s be honest, the average avid cyclist is going to move on to something newer and shinier long before they ever approach the fatigue life of a frame. If you want to put carbon fiber in places where metal fatigue and failure might be a concern, spend your money on carbon handlebars. I remember back in the 90’s, they used to recommend replacing aluminum bars every year or two due to the potential of fatigue failure. Probably not the case anymore but I still ride carbon bars for their potentially infinite lifespan and lighter weight. The biggest advantage of carbon is that strength and flex characteristics can be manipulated by the layup and aren’t as dependent on the characteristics of the material as it is with metals. I own both carbon and aluminum mtb frames and can’t tell the difference. I think that overall, aluminum gives far better value for most riders. I had pivoted Firebird made out of aluminum where the linkage was over machined. In time, after about two or three years the torsional forces from paddling around the bottom bracket caused two or three fatigue cracks. This could happen, as you stated, in any material but I think aluminum is more prone to it. Especially, I think we have reached peak aluminum performance with manufacturing techniques such as Hydro forming but carbon and other composites are still evolving and should have a lot more performance wrung out of them. what year was that Firebird frame? I could see that type of failure as being more likely with an older aluminum frame (1990s-early 2000s) because I think they were designed and prototyped more ‘on the fly’ than newer frames are. I believe that most modern frames are designed using FEA style analysis which should give a fairly accurate idea of real-world stresses and lifespan. I would think that a properly engineered, modern aluminum frame would have a very long fatigue life. Add to this that frame manufacturers don’t want aluminum frames failing because of the liability issues and reputation damage; I would be they’re pretty careful about ‘overbuilding’ the frame to some degree and taking fatigue life into account. I believe that you’re correct about aluminum having the shortest fatigue life. My understanding is that steel is better and titanium is best for fatigue with properly designed titanium parts and frames having nearly infinite fatigue life. I also remember certain ultralight aluminum frames (and handlebars) back in the day (mid 1990s) that were only guaranteed for a year against fatigue because they were so underbuilt. I agree that the level of aluminum frame building is very high and that carbon fiber tech is probably only going to get better. I hope bike companies keep on making aluminum versions of high end frames because they’re just so much cheaper for a negligible difference in performance. I disagree that the ride feel is a placebo. I rode a steel frame for about 6 years as my only MTB, then it broke (due to manufacturing defect). the bike I replaced it with was aluminum and I could tell a definite feel difference in the harshness of the ride. I literally transferred all my same components to the new bike, minus the derailleurs because I went SS. I eventually swapped my seatpost out for a Moots Ti to help with the harsh ride. that being said, I’ve been on that AL frame now for 8 years and I’m used to it. I demoed a full carbon SC bike this summer and blown away at the stiffness that I felt from the carbon. granted, I was going from my 8-year-old AL SS hardtail to a brand new, top of the line, FS w/carbon rims and all the bling, so it’s not a great comparison. but I definitely think they feel different. lastly, I’m letting my AL go this winter to switch back to steel for my SS. I just prefer the feel of steel on a HT. Which material is better for heavier riders? If the load on the bike is in excess of 250 lbs (rider and hydration pack), is carbon fiber still a viable alternative? Thanks. I have had reservations in the past about carbon, but that was basically from hearing a few horror stories over a decade ago. I’m guessing then that even a used carbon fiber frame bike (provided it shows no signs of damage) would be a better bet than the equivalent aluminum frame bike? This is assuming that it is _relatively_ new, and an all mountain / enduro model. I agree with duncanish. Carbon fiber is better for bigger and heavier riders simply because it’s stronger in the larger sizes. In fact, Santa Cruz only makes their largest sized mountain bikes in carbon because aluminum isn’t strong enough to give the performance they want. I’ve also seen testing videos that prove for most impacts, carbon has a higher strength before destruction. The problem is that metals will bend at the failure point and when carbon fails, it’s usually catastrophic. To say that when carbon fails it’s usually catastrophic is a gross generalization that doesn’t take into account layup types and thickness. While unidirectional carbon can and will fail catastrophically due to the majority of it’s strength being along the axis of the carbon fibers, a woven layup (which is VERY common these days) orients fibers at different angles and greatly reduces the chances of crack propagation and catastrophic failures. To say that most carbon fiber is woven these days is a generalization. As carbon grows in popularity it is also placed strategically. In the cycling industry unidirectional carbon fiber is very common. With that being said if you have an area that is more prone to impacts it can be reinforced with: woven, transversal, and multiple different fiber types. As someone mentioned the use of FEA software can help pinpoint where materials need to be laid. There have also been significant improvements in thermoset resin systems and thermoplastic composite manufacturing techniques that have made it much more reliable than in the past. Can I recycle carbon frames like Al, or does it leave a footprint? Back in the day (Yes, I am that old. There is dirt out there younger than me.) Breaking Bikes was ever day’s business. 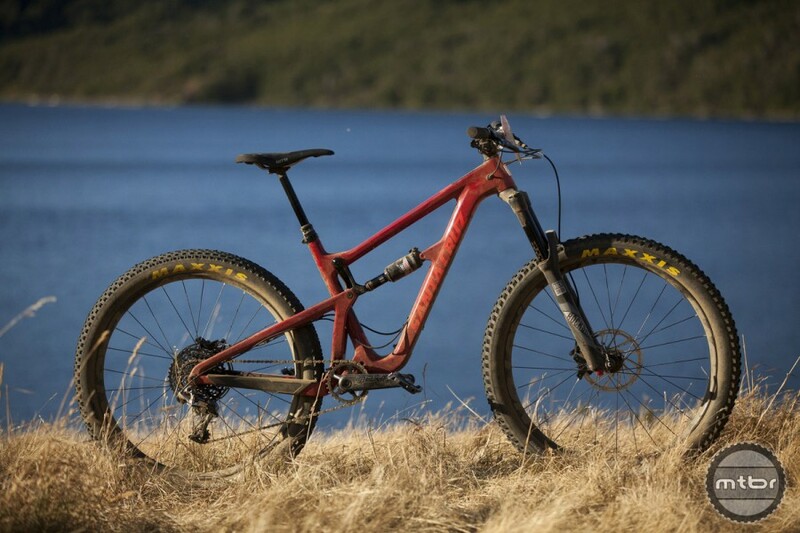 At 5′ 9″ and 210 lbs just powering thru technical single track took out bikes. My first MTB was a 1987 Schwinn Impact. By 1992 I had broken and replaced almost every component on the bike. My 1992 Klein Attitude had frame collapse in 6 months. Aluminum fatigue cracks, Swing arm failures, wallowed bearing seats, failed welds and crash impacts. The list of snapped derailleurs, mangled rims, worn out bearings, bent and broken posts and bars, snapped chains is boggling. Bikes Fail, it is a fact of MTB life. The heavier and stronger you are and the harder you ride the faster they go down. Modern bikes do have some advantages. But, I get all the same stuff in the shop now. It is the $$$ fuel of the industry. Carbon is great. Aluminum just works. Ti in my mind is still the best way to go. But the best advice I can give after nearly 30 years of MTB’s (I rode road for 20 years first) is; Ride what you got, Upgrade as you can afford. Ride as hard as you can. Enjoy life to the fullest and be safe. I agree with Farmer Ted. I have found very little difference in ride quality when it comes to frame materials. I recently rode a friends Ti 29+ rigid SS. Compared to a HT Trek Stache 29+, I found the Stache more comfortable due to the suspension! I actually also have a AL Cannondale Flash and had a CF Cannondale Flash. I did not find the CF model to be any more (or less) compliant or to ride better. Suspension, size of tires and tire pressure, weight of the bike, etc all affect how the bike feels and reacts. Materials might have mattered (in terms of feel and compliance) in the days of rigid bikes and narrow tires. Tolerance for crash/impact damage of an aluminum frame is overrated. Much of the strength and stiffness of a frame depends on the integrity of its shape. Think aluminum beverage can—undamaged, you stand on top of it! but give it just a little dent in its side and it crumples with little resistance. So to an aluminum frame with a fresh dent might not be strong enough to ride back to the trailhead; at least not with the usual gusto. Note that my comments relate to hard tail frames only. I am not a fan of carbon. It is lighter, and it feels better on the knee when it knocks against the side of the frame, but that is it for me. To often as a SS rider, I go all in on certain technical sections that end up with success or falling. I also ride many tight rocky sections that can put the bike in contact with rocks if not fully on your game. For this reason, carbon is not an option, plus, ride quality did NOT feel better to me than my previous scandium frame or steel frame. I now own two Ti and two AL bikes. One AL bike I bought new over 13 years ago and I have no concern for fatigue (granted it is ridden much less). The Ti bikes are fairly new (’13 and ’15) but they have been stellar, and certainly feel as good as steel but with the placebo affect of knowing they are much lighter. 🙂 If you can afford Ti (and plan on keeping your hardtail for a while), it is the way to go. If weight is no factor for you, then steel is stellar. For budget builds (new or used), it is hard to beat AL. But honestly, you can often get a steel frame for a similar price. Sure AL is lighter, but what is the point of purchasing a lighter AL frame if you are just slapping on cheap, heavy, budget components? Note that one of my AL frames, which I ride ~once a week, is a 29+ SS with Ti bars and a Ti post, so that may play a part in taking chatter out of the ride.